The New South Wales Rugby League was formed on 8 August 1907 at a meeting at the Bateman’s Hotel in Sydney, New South Wales. Rugby league split from rugby union over disagreements about whether to pay players. The first professional club competition started the following year. Rugby league is now the most popular spectator sport in New South Wales and Queensland. It is reckoned that professional football will be in full blast in Sydney within a few seasons. The union has been scooping the great pots of boodle, and the players who get all the bumps and bruises, are beginning to ask where do they come in. The rugby codes in Australia trace their roots back to the game we now call soccer, which emerged in England more than 700 years ago. Games of football — or foteball — attracted large and often riotous crowds of players in England from at least the Middle Ages. Banned by royal decree at least 30 times between 1314 and 1667, the game was hard to control and even harder to suppress. With industrialisation, Britain grew in prosperity and population — doubling to 14 million between 1751 and 1821. Many ‘public’ schools, modelled on prestigious establishments like Rugby and Eton, were founded to educate the sons of the middle and upper classes and equip them with the skills and gentlemanly values thought necessary for their future roles running Britain and her colonies. Games, especially football, were an important part of the public school curriculum and seen as a way to promote team and individual spirit, loyalty, and discipline. Sometime between 1820 and 1830, running while holding the ball was introduced to the version of football played at Rugby School. By 1839, the practice had become widespread. It was codified between 1841 and 42, and included the first written rules of rugby in August 1845. Rugby football quickly spread to other such schools across the country. Ex-public schoolboys continued to play in adulthood, travelling to matches on the rapidly expanding train network. As they took up roles as administrators in the British Empire, rugby spread around the world. For a gentleman, amateurism (ie. playing without payment) was fundamental to good sportsmanship. Amateur sport was played for the love of the game. Accepting payment turned sport into a commercial transaction, and opened the game to the corrupting influence of profit. Ex-public school men founded the Football Association in 1863 and the Rugby Union in 1871. Both were strictly amateur. The commitment to amateurism acted against working class involvement in sport. If a player was injured during a game, he was not paid for time off work to recuperate. Wages were low and an absence from work of more than a few days could also mean the loss of a job. The passing of a series of Factory Acts between 1843 and 1850 eventually led to workers having Saturday afternoons off. Many used their leisure time for playing and watching sport. New sporting grounds in city and town centres, combined with cheap rail fares and newspapers, helped build a huge player and fan base for rugby, particularly in the industrialised north. Large-scale matches were increasingly played before paying crowds. At a general meeting of the Rugby Union in September 1893, it was proposed that ‘players be allowed compensation for bona fide loss of time’. But an opposing motion was raised ‘that this meeting, believing the above principle is contrary to the true interests of the game and its spirit, declines to sanction the same’. The opposing motion was carried 282 to 136 votes and rugby union stayed resolutely amateur. By the 1890s, rugby players were becoming frustrated that promoters were not sharing the profits from ticketed games and in 1895 there was a call from working-class clubs in Yorkshire and Lancashire in northern England to form a rival professional rugby league. 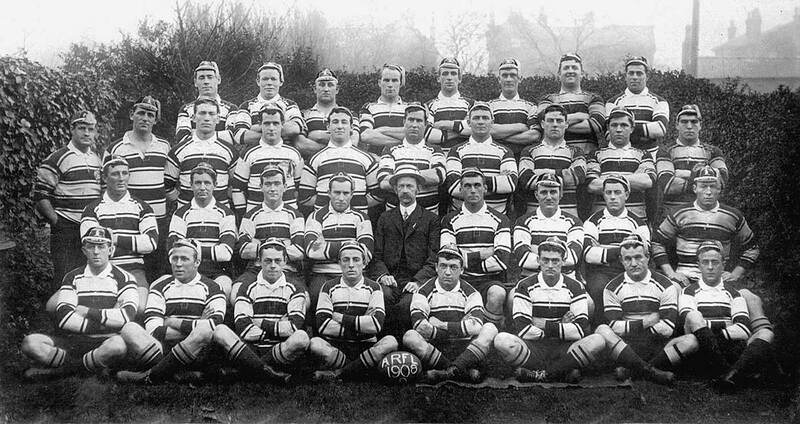 A meeting in Huddersfield, West Yorkshire on 29 August that year between 21 clubs formed the Northern Rugby Football Union, or Northern Union. At the same time in New South Wales, rugby was growing in popularity and many players shared the frustrations of their English counterparts. By 1902, some Sydney footballers threatened to break away from the New South Wales Rugby Union and form a Northern Union-style league, because of the Union’s rejection of compensation payments for injuries and lost wages. A split was averted but tension between players and the Union persisted. 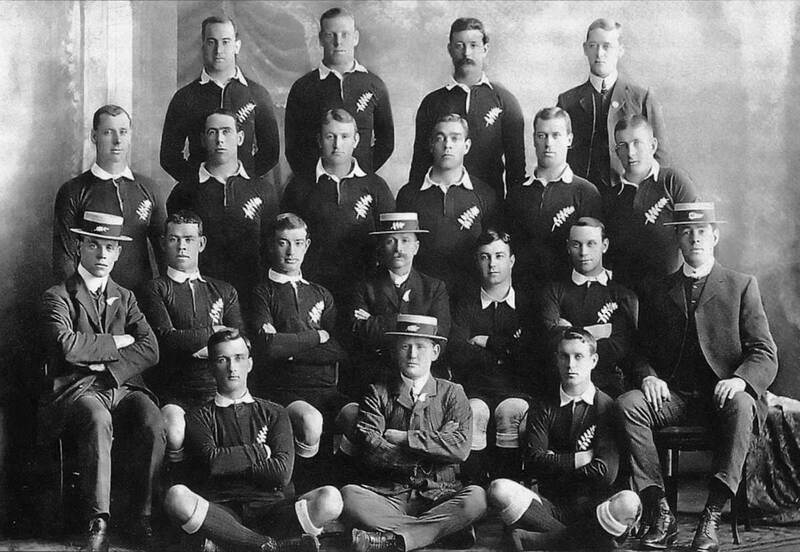 In late 1905, word arrived that a professional New Zealand All Blacks side would be touring England and playing Northern Union clubs. The possibility that Australian footballers could play the All Blacks team on their way to Europe was the catalyst for secret meetings in Sydney and Brisbane between players and supporters about the formation of a professional league in Australia. Such a league required management and financial support. These were provided by Victor Trumper, the greatest cricketer of the time, James J Giltinan, a wealthy entrepreneur, and Henry ‘Harry’ Hoyle, a unionist and Labor politician, each of whom took up key positions in the new organisation. Negotiations over the formation of the new league continued for more than a year. The founding of the New South Wales Rugby Football League (NSWRL) took place at Bateman’s Hotel in George Street, Sydney on 8 August 1907. The chance to play the All Blacks (or the All Golds as the Sydney press had dubbed the professional New Zealand side) and receive a share of the ticket sales saw many of the city’s best rugby players transfer to the new league. The most famous of these was the great Herbert ‘Dally’ Messenger, rugby union’s biggest star. He had been approached by Trumper and Giltinan, who knew that persuading him to align with them would be a major coup. After joining the new league, Messenger’s game statistics were struck from the rugby union record books and not restored for 100 years. Three financially successful matches between the Kiwis and a hastily put-together New South Wales side followed. The matches were to be played under the Northern Union’s 13-person team and play-the-ball rules, but the speed with which the team was assembled left little time for mastering the new rules and so rugby union rules were employed instead. Twenty thousand spectators watched the opening match on 13 August at the Royal Agricultural Society Ground in Moore Park. It looked as if the new professional league planned for the next year would be a success. The NSWRL’s Sydney Premiership kicked off on 20 April 1908 with nine teams: Balmain, Cumberland, Eastern Suburbs, Glebe, Newcastle, Newtown, North Sydney, South Sydney and Western Suburbs. Games were played that day at Birchgrove Oval (Balmain) and Wentworth Park (Glebe). The new league had attracted about half the first-grade rugby players in the city and the matches were attracting sizable crowds. However, the focus of the league administration was on representative matches between New South Wales, Australian, Queensland and New Zealand teams, which they believed could draw big enough crowds to ensure the financial future of the competition. South Sydney defeated Eastern Suburbs 14­:­12 in the initial season’s grand final, winning them the Royal Agricultural Society Shield, the league’s first premiership trophy. At the end of 1908, Giltinan financed a tour of England for the Australian rugby league representative team, the Kangaroos. But poor weather and industrial strikes in northern England reduced attendance at the games and the tour was a financial disaster. The Northern Union paid for the Australian players’ trip home. Giltinan, now bankrupt, returned to find that he, along with Trumper, had lost their positions in the league hierarchy. Financially and organisationally, the league was in turmoil. Many feared that the 1909 season would not go ahead.However, two games in rapid succession against a touring New Zealand Maori team attracted more than 50,000 fans. Almost overnight, the league’s financial problems disappeared and the club season was saved. Over the next few years, rugby league went on to become Sydney’s dominant winter sport. Rugby league has now become one of Australia’s most popular sports. In New South Wales, Queensland and the ACT it is the most watched sport on television and has the second highest participation rates after soccer. Some of the original teams from the first Sydney premiership are now amongst the country’s most iconic sports institutions. 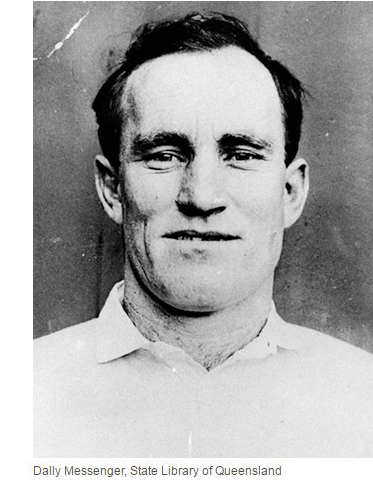 Dally Messengers' NSW Rugby League capDally Messenger is considered one of the first 'greats' of Rugby League in Australia. He was one of the leading players who defected from Rugby Union upon the establishment of the new league in 1907, and captained the inaugural New South Wales Rugby League (NSWRFL) team.